I really enjoy taking my wedding couple's out for a few minutes of photography fun during their party. Sometimes this can be a great break from the action for a bride and groom. 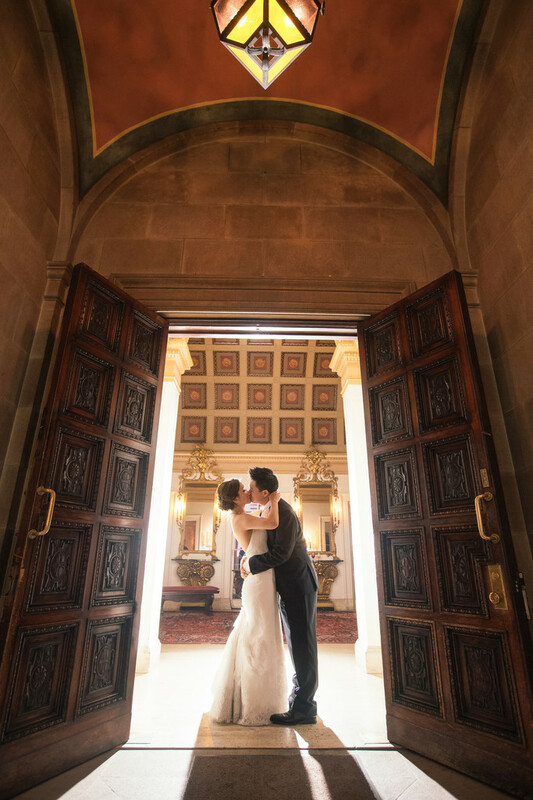 In this image, at the amazing Athenaeum in Pasadena, I framed them nicely in the front entrance of the venue.